Citrus can be an anchor in a dish or a highlighter…think lemon curd vs. blueberry muffins with just a hint of lemon zest. Citrus also often acts as a balancing ingredient; the bright flavor of an acid (citrus) can tone down the heavy flavor of something cream-, butter-, or oil-based: you can do wonders by adding a squeeze of lemon or lime juice to a cream sauce. An acid can also liven up other flavors; when you add lemon juice to basil pesto or lime juice to cilantro pesto it wakes up and accentuates the flavor of the herbs and adds a boost of freshness (as well as keeps them from browning). 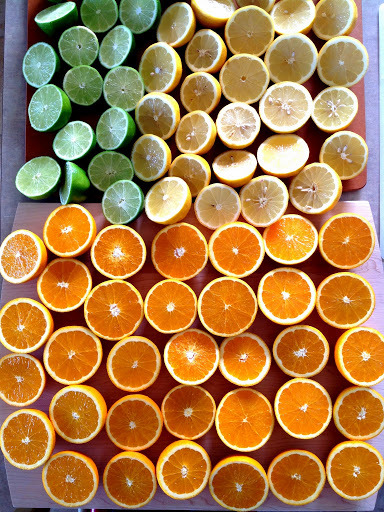 Citrus is one of those secret weapon ingredients in the kitchen. 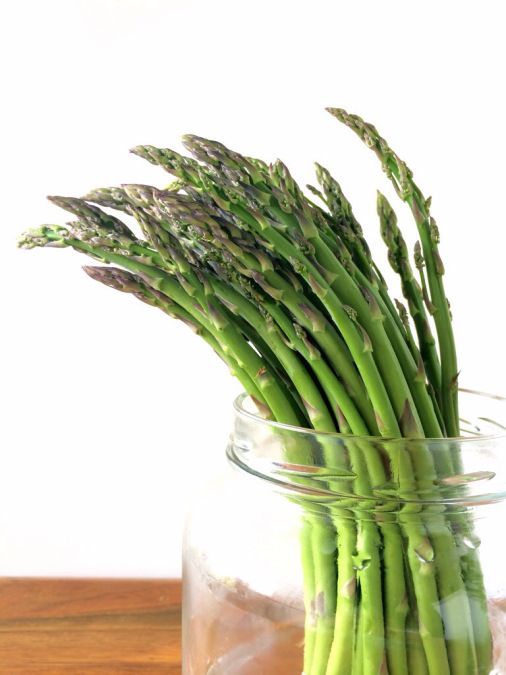 It’s also not grown anywhere close to me; the primary growers in the U.S. are in Florida and California. I’ve accepted the fact that citrus is not a local food for me (same with avocados, bananas, mango, and coconut), but I try to use it most when it’s in peak season: winter and into spring (roughly December thru April). 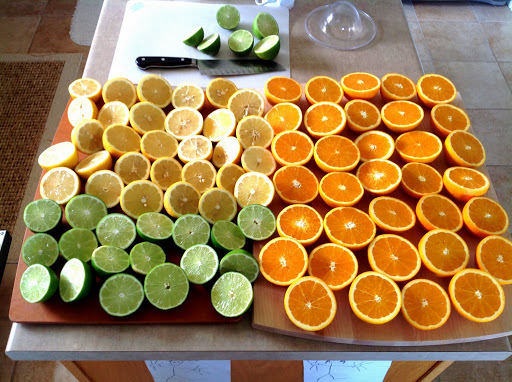 Therefore, this spring I decided to buy a bunch of lemons, limes, and oranges, juice them and freeze them. It took some time and effort, but my house smelled Uh-mazing! 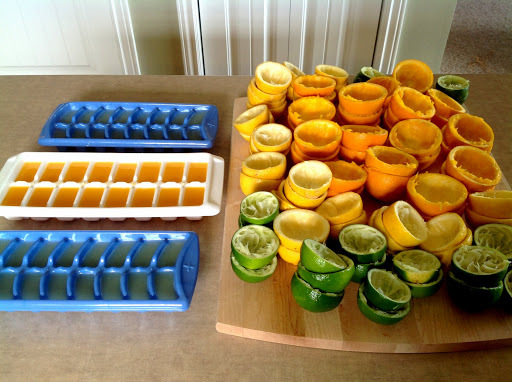 And now I have a freezer full of citrus cubes and juice! 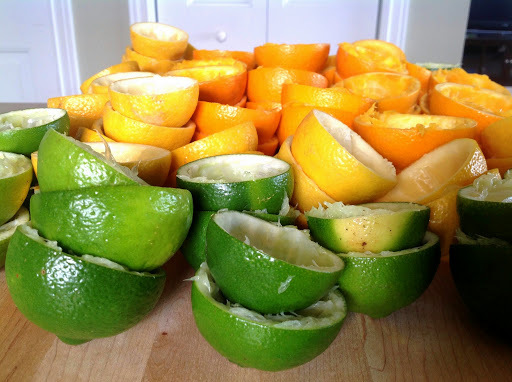 I cut all the lemons, limes, and oranges in half; juiced them with an electric juicer; strained the juice through a fine mesh sieve; then poured the juice into ice cube trays and freezer bags in 1/4 cup and 1/2 cup portions. After the juice cubes were frozen, I transferred them to freezer bags. 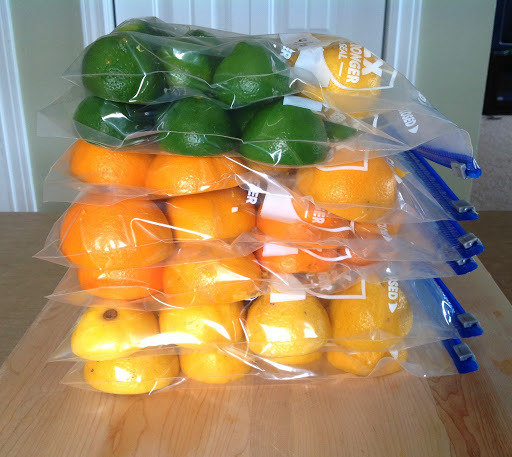 I labeled all the bags with the date and type of citrus. 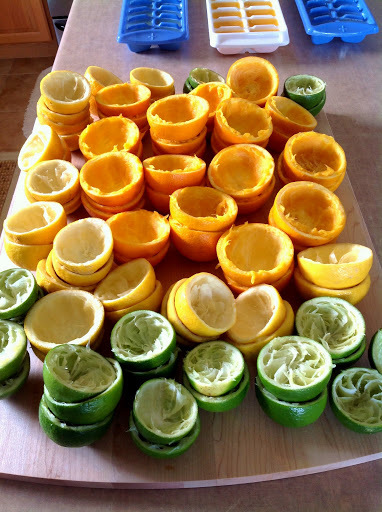 I also froze all the citrus halves to use for zesting later…no waste! Bring on the booze! Margaritas are mos def in my near future!